There’s a reason that Winston Churchill dubbed Uganda as “The Pearl of Africa”, and its wildlife is one of those reasons. 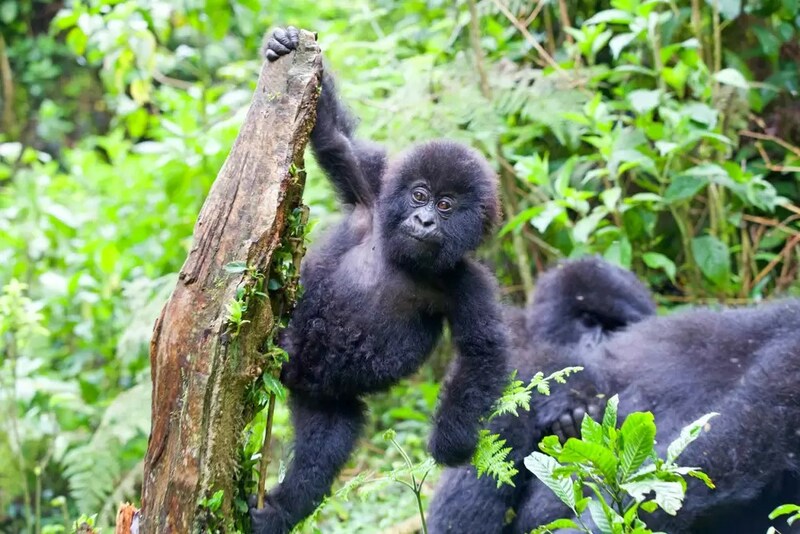 If you’re looking for an outdoor adventure where you can get up close and personal with chimpanzees and gorillas, Uganda is the perfect place to visit. But don’t just make a trip of it, we think you should consider one of our Uganda photography expeditions. Because the places you’ll visit and the visual display you’ll be treated to deserve to be immortalized through photography. Where will you Experience the Best Wildlife in Uganda? Located in the Nile Basin, it’s not a surprise that the Ugandan landscape is lush and green. Combine this with the long shoreline of Lake Victoria, and your Uganda photography expeditions can start right here. Book a boat tour across the Nile and enjoy the view. The same tour will take you to Murchison Falls National Park and its thunderous star, the Murchison waterfalls. If it’s Mother Nature’s handiwork that you want to capture on camera, a boat tour on the Nile is a must. At the Murchison Falls National Game Park, you can enjoy a 3-day safari tour starting in Entebbe and ending at the mighty falls. Depending on the itinerary you book, you’ll be riding a 4WD through the park and staying in bungalows or camping grounds. Less crowded than other places where chimpanzees roam, the Budongo Forest is where you can take photos of the mighty chimps without the need to elbow your way through. And because there are primate species in the area, such as baboons, blue monkeys, and black and white colobus monkeys, you can practically make a coffee book full of monkeys. For a more immersive experience book for a 3-day stay at the Budongo Forest. Spend one day with your camera and then another to simply bask in the beauty of nature and its habitat. Because this part of Africa is where primates are in huge numbers, it’s only natural for Uganda photography expeditions to mostly revolve around monkeys. At the Bwindi Impenetrable Forest, what you’re going to do is to track mountain gorillas on what is known as the “Mountains of the Moon”. The Rwenzori Mountains is where anyone who loves Great Apes should be. And if you aren’t a huge fan, you’ll be a convert afterward. Just be aware that gorilla tracking is physically demanding and challenging. The rewards, however, will make every effort you spent worth it. Nowhere else in the world can you watch a 200 kg (450 lb) silverback mountain gorilla with your own eyes, in its natural habitat, and with his family, no less. At the end of your Uganda photography expeditions, you can choose to leave Uganda or extend your visit and journey on to Kenya. Here, you get to set foot on the planet’s oldest land migration. Visit in time of the Great Migration and experience the magnificence of the wildebeest, zebras, and other wildlife crossing the plains of the Serengeti to the Maasai Mara. It’s one spectacle every person should experience once in their lifetime.